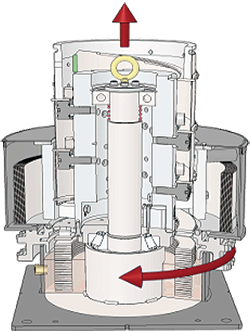 The Spiralift is the basic component of some of the best world-renowned platform lifts such as orchestra, stage and piano lifts. 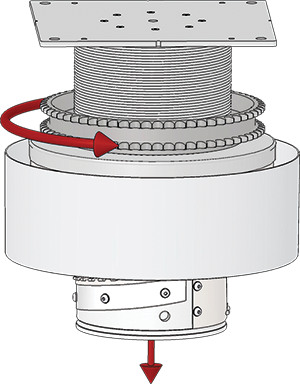 This technology uses two bands of intertwining stainless steel to form a strong and stable column. 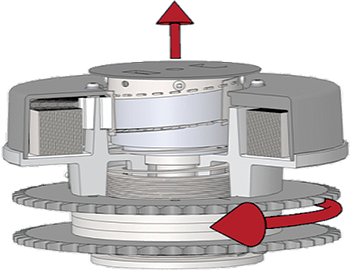 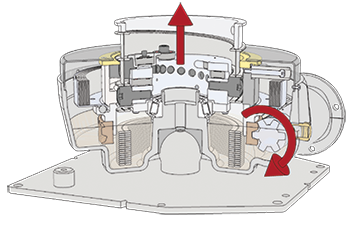 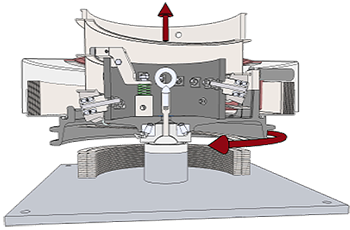 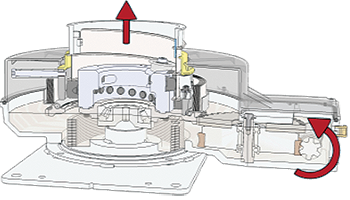 The Spiralift requires relative low-power electric motor drives thanks to its very high mechanical efficiency. 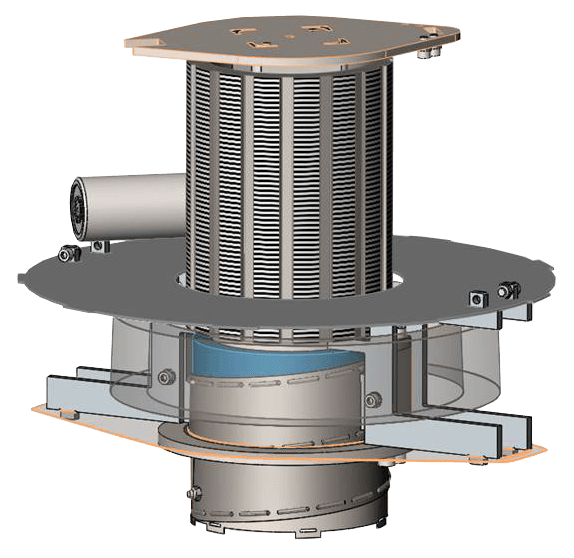 Spiralift units can be configured easily in modular designs to suit any platform geometry and building architecture. 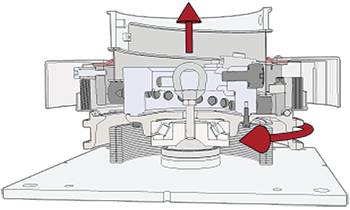 Multiple units can be linked to the same drive train and fully synchronized. 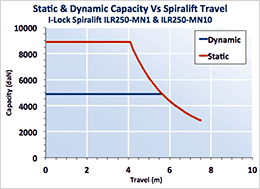 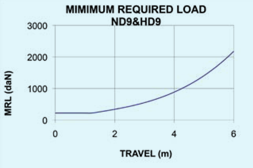 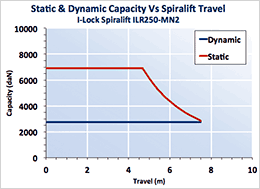 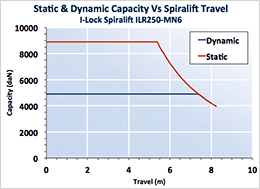 * Maximum Static and Lifting capacity decreases for high travel. 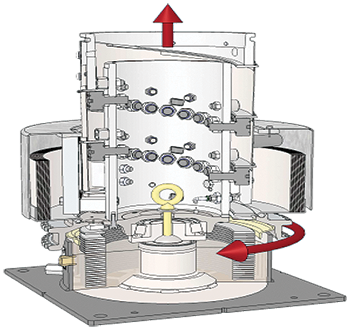 1 This Spiralift unit complies with the DIN 56950-1 standard. 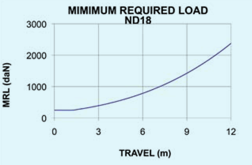 * Maximum speed decreases for high travel. 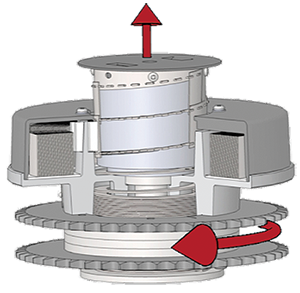 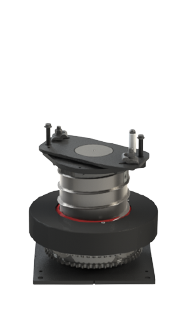 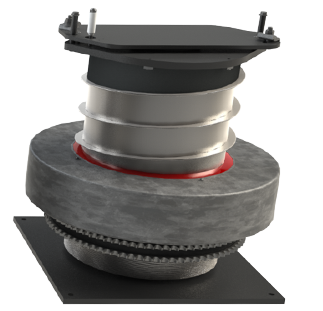 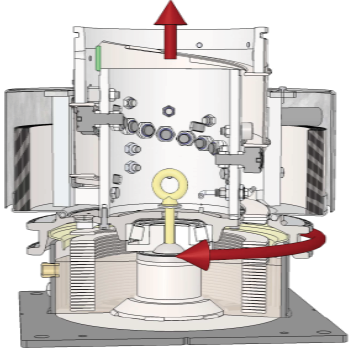 Certain models of this Spiralift unit comply with the DIN 56950-1 standard. 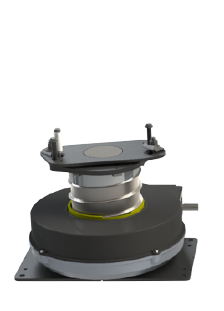 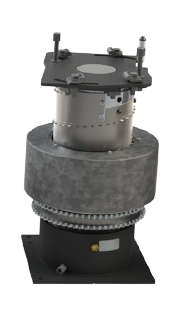 This Spiralift unit complies with the DIN 56950-1 standard. 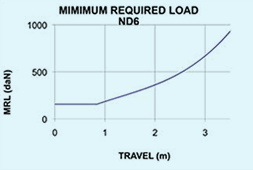 ** Maximum speed decreases for high travel.